Novelty for nails - Amber series !!! Our new product is the Amber Series !!! A series consists of two means for nails, on the basis of natural AMBER !!! 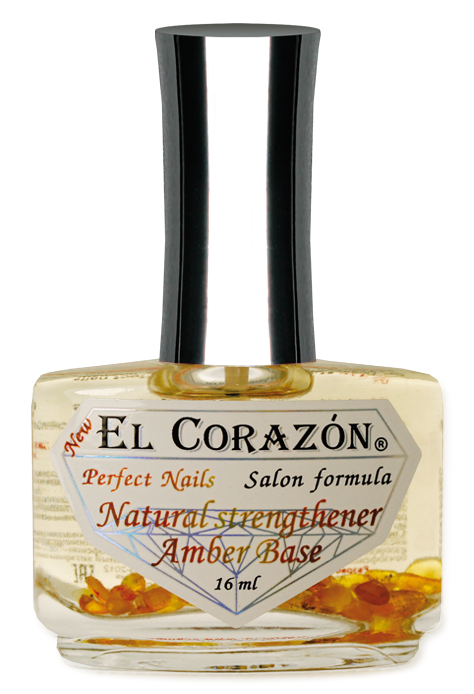 El Corazon №436 Leveling base for nail polish with succinic acid "Natural strengthener Amber Base"
Innovative leveling base for lacquer with succinic acid, strengthening the fragile nail plate along the entire length. The tool fills the smallest microcracks, cavities and delamination in the nail plate, aligning it along the entire length. action. With constant use, the effect of the drug is enhanced, the nail plate is saturated with the beneficial properties of natural amber. Composition: ethyl acetate, butyl acetate, nitrocellulose, adipic acid / neoptyl glycol / trimellitic anhydride copolymer, isopropyl alcohol, acrylate copolymer, silica, benzophenone-1, benzophenone-3, succinic acid, vitamin E, natural amber. 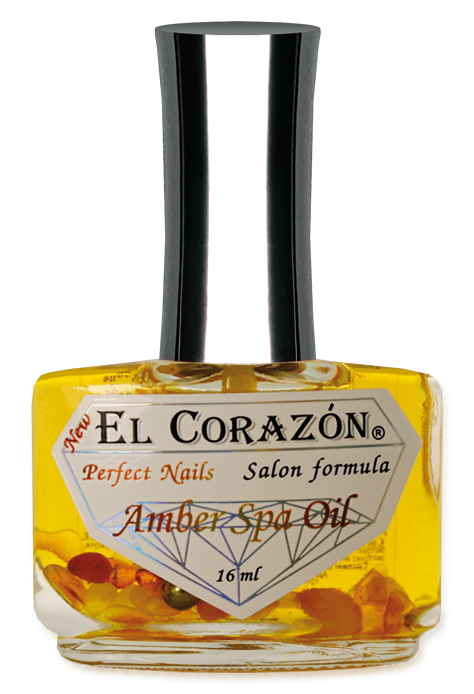 El Corazon №437 Multivitamin SPA serum with amber and medicinal oils for unlined manicure "Amber Spa Oil"
application. The natural components that make up the preparation are a storehouse of vitamins and trace elements. Natural amber contributes to the strengthening and growth of nails, prevents their delamination. Orange nourishes and softens the cuticle, whitens the nail plate and gives it a natural shine. Sea buckthorn has antiseptic and regenerating properties, promotes rapid healing of small wounds and cuts. With frequent use of the tool, the cuticle is cleaned and stops growing, the burrs are removed. Apply the serum on the cuticle and nails. Ingredients: mineral oil, polyisobutylene, petrolatum, D-panthenol, vitamin E, succinic acid, jojoba oil, sweet orange oil, sea buckthorn extract, ascorbyl palmitate, ascorbic acid, citric acid, natural amber.